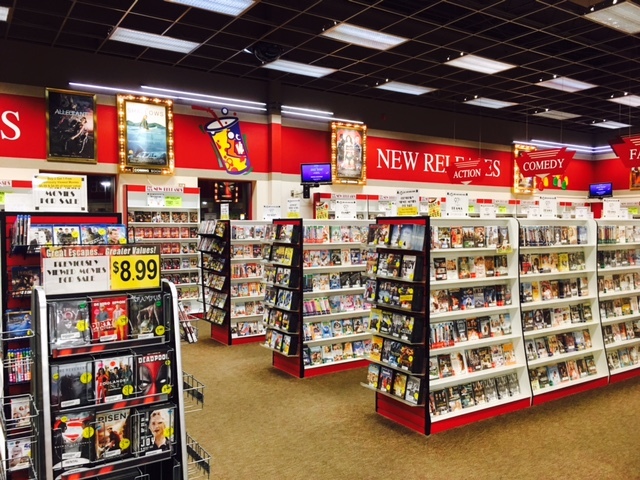 Also, because our internet speed is not strong enough to stream movies, I had the opportunity to visit the video rental section of the store in preparation for our grandma/mother/daughter “girls movie night”. I was both shocked and saddened when I asked the young curly-haired employee to direct me to “Anne of Green Gables” and was met with a blank stare preceding the question, “Is that like an old movie?” “No, it’s more like a classic,” I replied. Despite the fact that they lacked a certain quality of movie title selection, I was pleased that I could rent three videos for 7 days for just $1.04! However, problem number two arose when I realized that they wanted an in-state drivers license to check out the movies. Thankfully, they were willing to work around this since I was visiting family who lived in the area. Phew, crisis averted. Isn’t this an ever-changing adventure? Who knew the grocery store could be so exciting! I had a friend in middle school whose family business was a video store. She seemed like the most lucky girl I knew at the time :)! Shockingly, this video store still had some VHS tapes in stock to rent! ha! great response, Heather. She hadn’t even heard of Anne of Green Gables? That is grievous, indeed.